If you choose the services that Gold Wing Motors can provide, the company’s experts may examine the exhaust system, change the oil, evaluate the vehicle’s radiator, replace a fuel filter, install new components that can improve handling, add new tires and determine the condition of the vehicle’s brakes. By utilizing advanced equipment, the experts can swiftly evaluate numerous diagnostic codes, and the mechanics may examine the crankshaft sensor, the exhaust system, the oil pressure, the automobile’s tires and the electrical system. When the company’s experts add new oil, the experienced mechanics will install a durable oil filter, which can significantly extend the lifespan of a vehicle’s engine. The technicians may inspect the oil pressure sensor, and the component effectively evaluates the flow of oil throughout the automobile’s motor. Moreover, the experts could examine the oil pump, which causes oil to flow within vehicle’s engine. The specialists can inspect the automobile’s fuel system, and the experts may study the average fuel pressure and evaluate the amount of electricity that the fuel pump receives. If a fuel system is not delivering sufficient gasoline, the mechanics can install a fuel pressure sensor, wires that power the fuel system, a fuel filter, a fuel pump or a module that controls the flow of electricity. Sometimes, a vehicle’s fuel injectors could become clogged, and before adding new fuel injectors, the experts may determine the fuel pressure that each component can generate. Many vehicles contain relatively old air filters that have become clogged. Generally, an ineffective air filter will influence an automobile’s acceleration, and sometimes, a clogged air filter can cause a vehicle to stall. Once mechanics add a new air filter, the experts may examine the mass air flow sensor, which controls the flow of oxygen. The mass air flow sensor is generally located within the automobile’s main intake; however, dust and dirt can modify the signals that the sensitive component delivers. Once an engine’s oil becomes especially old, the liquid can generate sludge within the motor. The sludge may reduce horsepower, increase emissions and affect an automobile’s gas mileage. If a Mercedes repair expert regularly changes the oil, the fresh oil can tremendously improve lubrication within the engine, and the oil may reduce the motor’s average temperature and enhance the smoothness of numerous components. If a vehicle’s engine is not generating sufficient horsepower, the exhaust system may be damaged, and an ineffective exhaust system can also decrease an automobile’s gas mileage. When a vehicle arrives at a Mercedes service center, the helpful experts may inspect the muffler, the catalytic converter and the exhaust manifold. We can also study the vehicle’s emissions in order to examine the overall functionality of the exhaust system. If the components are generating numerous noises, the vehicle may need new hooks, which stabilize the exhaust system. 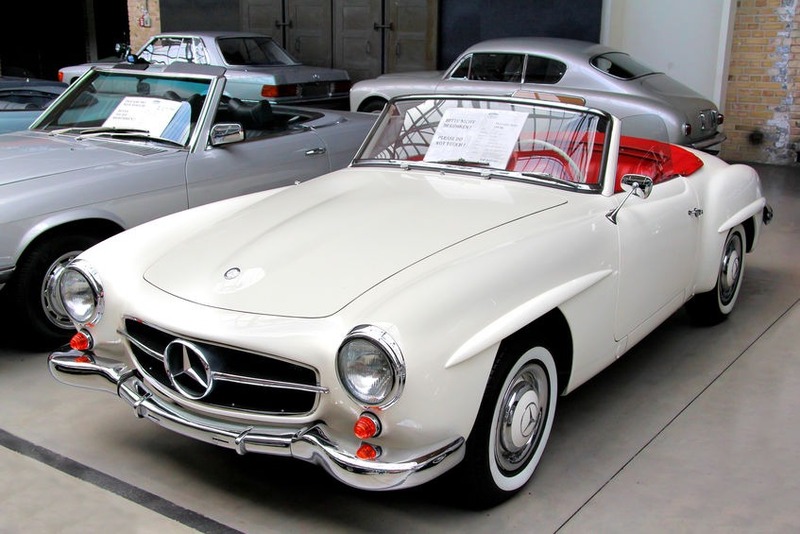 According to a Mercedes mechanic, many older automobiles need new brakes because the rotors have become relatively worn, and once the brake pads become thin, a driver may regularly hear noises when the car stops. Once you visit a Mercedes repair shop, the experts can determine the smoothness of the rotors. Subsequently, the mechanics may add new brake pads, select high-quality rotors and estimate the lifespan of each component. The technicians can also install new brake lines, and the specialists may inspect the master cylinder, which delivers brake fluid to the lines. After you choose the services that Mercedes repair experts can offer, the technicians may inspect the shock absorbers and the ball joints. If a ball joint has become worn, the component will generate multiple noises when the automobile turns. By adding new ball joints, mechanics can improve the vehicle’s steering and reduce the risk of automotive collisions. While a Mercedes mechanic inspects a vehicle, the specialist can determine the level of coolant in the reservoir, and the expert may examine the functionality of the radiator, which delivers fresh coolant to the engine. Various reports have indicated that more than 38 percent of vehicles have relatively low levels of coolant, and in January 2018, at least 10 percent of automobiles contained the wrong type of coolant. Once you choose the services that a Mercedes repair shop offers, the experts can study patterns that affect the grip of the tires, and if tires frequently contain insufficient levels of air, the sides of the tires can swiftly become worn. The mechanics may add all-weather tires that have especially thick treads. Subsequently, the experts can effectively balance the wheels, and by rotating the tires, the mechanics may ensure that the rubber can wear evenly. Once the technicians examine the automobile’s radiator, the experts can replace numerous lines that deliver coolant, or the Mercedes service center may offer a new fan, an upgraded sensor that evaluates the coolant and a new water pump. Generally, these upgraded components can increase the lifespan of the engine and protect the automobile’s head gasket. If you want to learn more information about our services, you can view a description of our business, examine numerous testimonials, evaluate frequently asked questions and study techniques that could improve the condition of an engine. When you are ready to receive an estimate, you may submit our contact form, or you can call 305-447-0144.